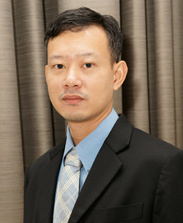 Piyapong, member of university council, has strong expertise in computer engineering includes computer language, computer operating system, database program and software application. He is currently management in Boston Network Consulting, IT business Solution Company. He is also the instructor and consultant in iPSTAR Broadband IP Network. Moreover he also has strategic experience in telecommunication industry. He has completed his Master Degree of Business Administration concentration in MIS and Finance & Accounting, University of Illinois at Urbana-Champaign and his Bachelor of Electronics Engineering from King Mongkut Institution of Technology Ladkrabang (KMITL).